Bryan Grieg Fry was born in the USA in 1970. He graduated from the Portland State University Honours Program with a dual degree in Molecular Biology (BSc) and Scientific Philosophy, with a minor in Psychology (BA) (1990-95). Drawn to Australia by its numerous toxic creatures, Fry completed a PhD from the University of Queensland on the toxic natriuretic peptides of the inland taipan (1997-2000, awarded in 2002). 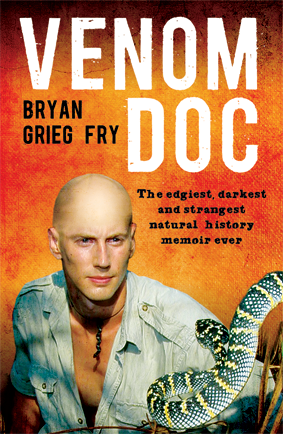 In 2000 he worked as a research assistant at the Australian Venom Research Unit (AVRU) at the University of Melbourne. 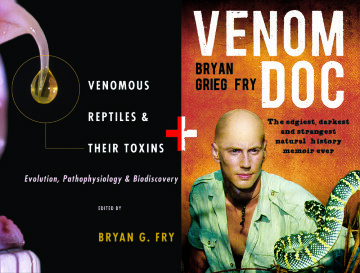 Fry then took up a postdoctoral fellowship at the National University of Singapore (2001-02) which allowed him to work on Asian snakes and build on his research into snake venom evolution. Fry returned to Australia and the University of Melbourne as deputy director and ARC postdoctoral fellow at the AVRU (2003-06). 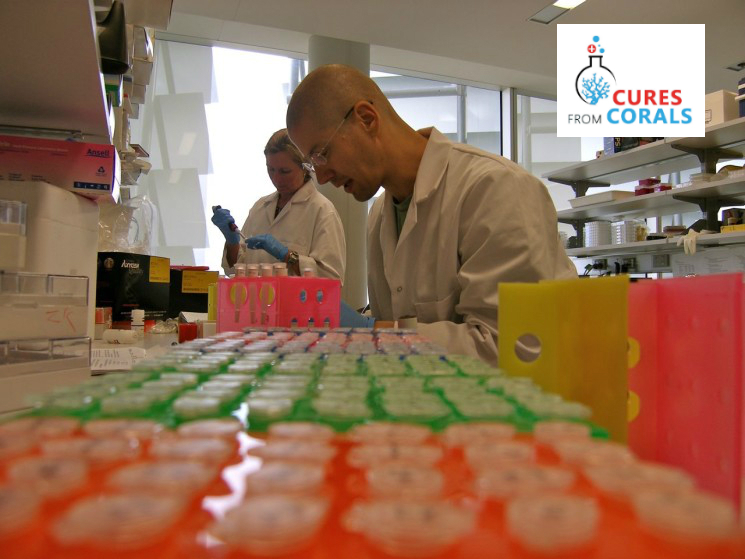 In 2007 Fry joined the Department of Biochemistry and Molecular Biology at the University of Melbourne as an ARC Queen Elizabeth II Research Fellow (2007-11). Fry is now associate professor at the School of Biological Sciences, University of Queensland where he is group leader of the Venomics Laboratory. His work at the University of Queensland is currently supported by an ARC Future fellowship. Thank you: Receive a thank you e-postcard with a fantastic coral reef image to brighten up your inbox! Thank you postcard: We'll send you a real postcard featuring a stunning coral image taken from the field. A signed copy of my book: "The edgiest, darkest and strangest natural history memoir ever"
Limited edition Print: Receive beautiful official artwork related to the study, the prints will be numbered. 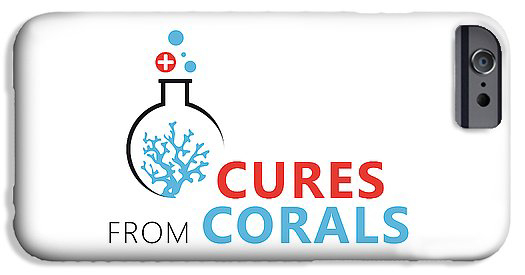 Cures from Coral tote bag: Help promote our research mission with the official cures from coral tote bag or phone cover. This bag will be made of good quality fabric and will only be available to people who support our research. With this perk you will also be invited to attend the online and live seminar. Cures from Coral iphone cover: Help promote our research mission with the official cures from coral phone cover. We have found a supplier and tested the quality of these beautiful phone covers. By purchasing this cover you will not only look ultra stylish, you will also get the warm fuzzy feeling of knowing that you are doing your bit to help both protect the our oceans and potentially save lives through aiding the discovery of new medicines. 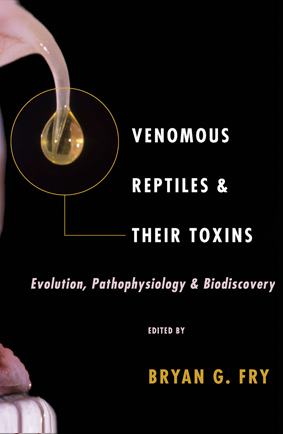 Signed Venomous reptiles and their toxins text book: Bryan Fry was the the editor and a major contributor to this fascinating book describing mind blowing creatures and their venoms. Signed book combo: A signed copy of "The edgiest, darkest and strangest natural history memoir ever" and the "Venomous Reptiles and their Toxins" text book, both will be signed. Plus, you will be invited to the online seminar. Signed Limited edition Print: Receive official artwork related to the study signed by the team to thank you for your support! You can be proud to have supported fundamental research to help protect coral reefs and find treatments for disease. What an incredible story to tell your friends! You will also have the choice of receiving either the tote bag or iphone cover. Dive with us: Come on a dive with us and have a bite to eat post dive (travel not included). Dinner with team: We will invite you to dinner with the team! Possibly on a boat in the beautiful barrier reef! Fund the project: Through this campaign we are asking for £10k, the more money we can raise the more progress we will make in unveiling potential new medicines from corals. If you are in a position to support this project with £10k, we would be delighted to thank you personally and offer you any of the above plus a tour or our lab. If you would like to contribute more than this to this important research, please email info@walacea.com. My name is Bryan Fry, and I am a biodiscovery researcher and Associate Professor at the University of Queensland. My team is racing to discover in coral extracts new treatments for diseases such as stroke before it is too late. We need your help to finish the first stage of the biodiscovery process. We have already purified 2,000 compounds and they are ready for testing. We are seeking crowdfunding in order to test these novel molecules for their therapeutic application. Lead compounds will be investigated further. In addition, this will provide proof of concept, which will reinforce the value of coral reefs not just for their inherent beauty, and value to tourism, but also their direct economic value from biodiscovery. This will reinforce why all efforts, from grassroots through to the highest political levels, must be urgently undertaken to save these precious resources. Step 1 is to subject the 2,000 purified compounds to a battery of assays to determine their effectiveness for cancer, pain or blood disease treatments. Step 2 is to fractionate the remaining crude extracts and test them in the same tests. We are seeking initial funding for Step 1. This will provide the pilot data and momentum to seek large grants to undertake Step 2. Corals are disappearing at an alarming rate, thus we need to urgently field collect new samples before it is too late. Corals have already yielded novel treatments for cancer and pain but their capacity for the treatment of diseases such as stroke has been neglected. 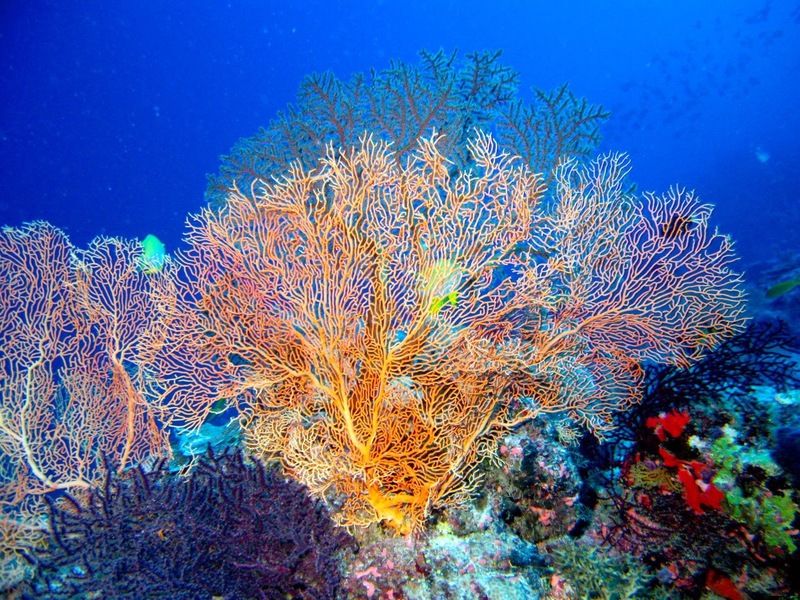 Corals are crucial to the entire marine ecosystem, if they die out there will be a complete collapse, one that will affect not only tourism but also food we obtain from the ocean. Therefore, reinforcing the economic value of corals due to biodiscovery will strengthen the political arguments for their protection. We have already secured samples from climate change endangered species including Antarctica. As part of this project we will collect additional samples, with a particular focus upon areas critically at danger from climate change, as evidenced by the recent armaggedon that has occurred in Australia’s Great Barrier Reef. 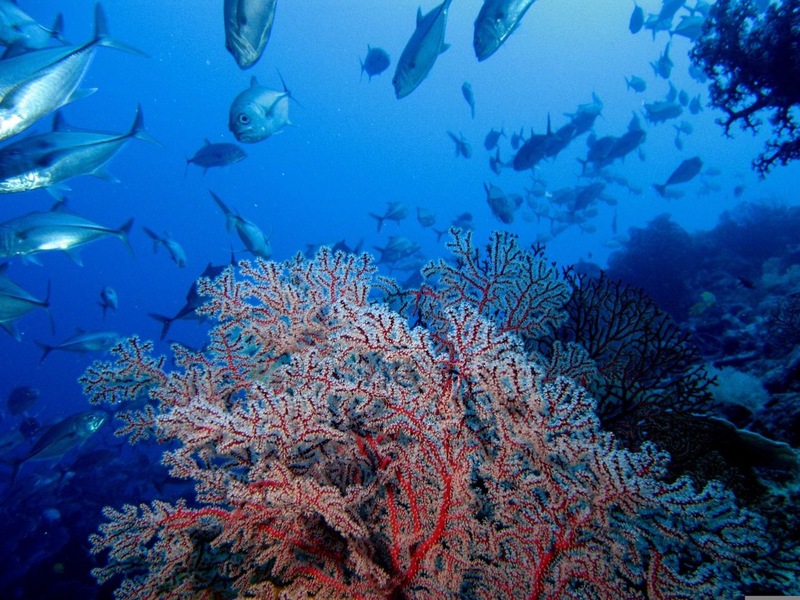 How Will This Research Help Save The Corals? To protect corals from extinction, we must show their economic value not only for tourism but also for biodiscovery. Only then will the political will be mustered to make meaningful change. In addition, with corals under extreme environmental threat we only have limited time to collect additional samples from critical areas before it is too late. Our first stage of research is at the ‘nearly there’ stage. We have already pain-stakingly accumulated samples ranging from the tropical waters of the Great Barrier Reef through to the freezing waters of Antarctica. These samples have been extracted, fractionated and compounds purified. We have 2,000 samples ready for testing. What we need now is funding to test these first compounds in our state of the art blood testing equipment. This will provide the proof of concept necessary to validate the additional economic value of corals. It will cost $20 per sample for this initial testing. Subsequently we will fractionate additional extracts for additional rounds of testing. Parallel to this we will undertake field work to collect additional samples. We will go to any length to obtain the samples before they are lost forever, including undertaking deep scuba dives requiring mixed gases and extended decompression times. 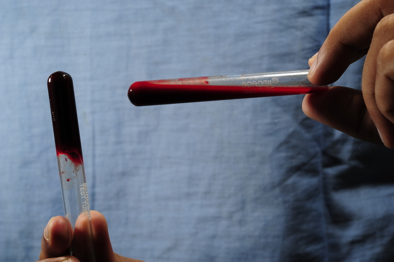 $10,000 (£6000) will allow us to completely test all fractions from a single extract in all blood assays. We also have some more fantastic perks.. 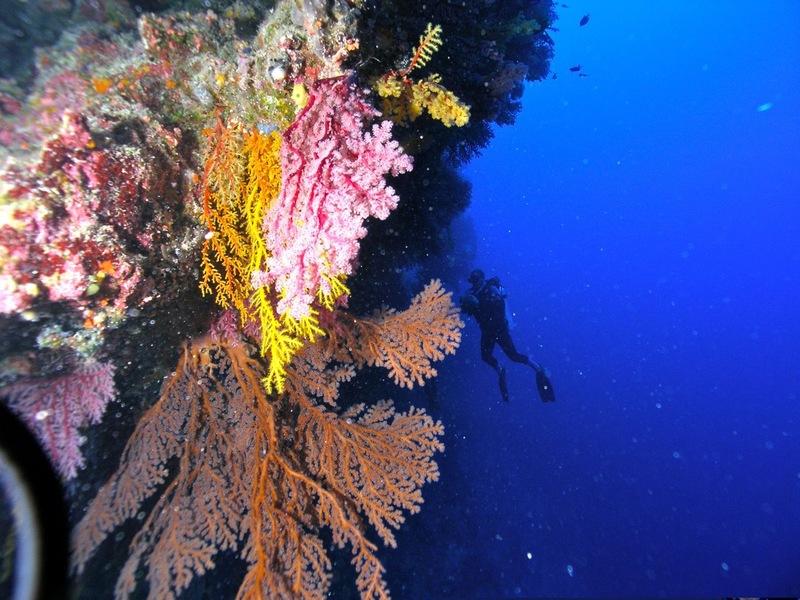 Thank you postcard: We’ll send you a real postcard featuring a stunning coral image taken from the field. 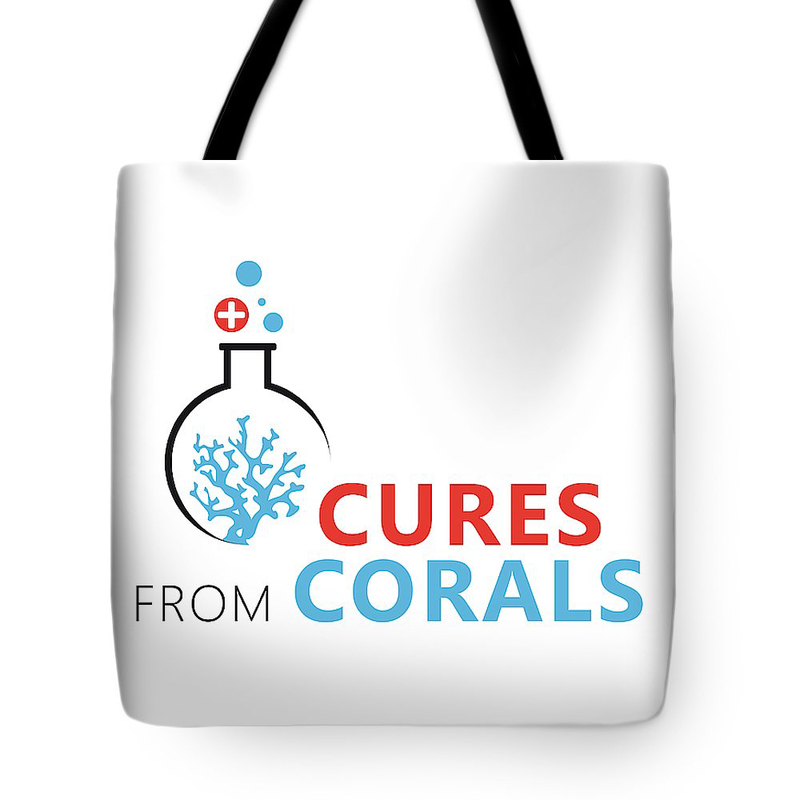 Cures from Coral tote bag: Help promote our research mission with the official cures from coral tote bag or phone cover. This bag will be made of ? fabric and will only be available to people who support our research.With this perk you will also be invited to attend the online and live seminar. 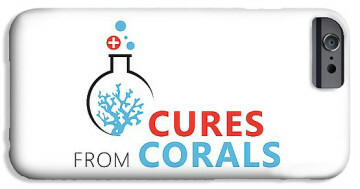 Cures from iphone cover: Help promote our research mission with the official cures from coral phone cover. We have found a supplier and tested the quality of these beautiful phone covers. By purchasing this cover you will not only look ultra stylish, you will also get the warm fuzzy feeling of knowing that you are doing your bit to help both protect the our oceans and potentially save lives through aiding the discovery of new medicines. Signed book combo: A signed copy of “The edgiest, darkest and strangest natural history memoir ever” and the “Venomous Reptiles and their Toxins” text book, both will be signed. Plus, you will be invited to the online seminar. Fund the campaign: Through this campaign we are asking for £10k, the more money we can raise the more progress we will make in unveiling potential new medicines from corals. If you are in a position to support this project with £10k, we would be delighted to thank you personally and offer you any of the above plus a tour or our lab. If you would like to contribute more than this to this important research, please email hello@crowd.science so they can arrange this with you. Every dollar counts! If we exceed our initial fundraising goal, additional funds will go towards field work and also purification/testing of additional compounds. Together with your help, we’ll finally have the resources we need to start fighting coral extinction while developing life-saving new medications for blood diseases like stroke. Follow us on social media! Join us now as this exciting mission unfolds. Like us on facebook, follow us on Twitter and visit our website.